Place the frozen mango, bananas, yoghurt, honey and water in a blender and blend until smooth, stirring, if necessary. Add the ice and blend until smooth and thick. 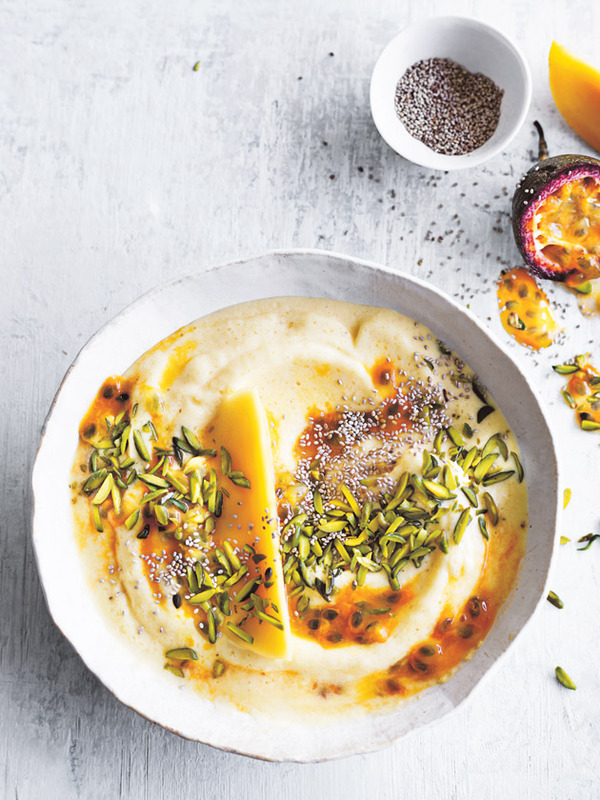 Divide the smoothie mixture between bowls and top with the fresh mango, passionfruit pulp and pistachio. Sprinkle with chia seeds to serve. Serves 4.